Hypothyroidism, also known as an underachieve thyroid, is a condition in which the thyroid (a small gland in your neck) produces a limited amount of important hormones and as a result, impacts the chemical balance within the body. Women are at a much higher risk for developing thyroid issues then men (ladies... I'm speaking to you!) So, now that you know what hypothyroidism is, how do you know if you "have it"? Well, this actually is between you and your doctor. There are certain tests your doctor will run to determine and/or diagnose you with hypothyroidism, as well as going over your family history, possibly a physical exam, and other tests per your specific needs. Hypothyroidism can also present itself in infants, young children, teens, and young adults, with symptoms varying for each age and individual. So, what causes Hypothyroidism? The American Thyroid Association , states that the cause for hypothyroidism can vary, and includes but is not limited to: autoimmune disease, surgical removal of all or part of they thyroid, radiation treatment, congenital, medication, and others. (Source: The American Thyroid Association). 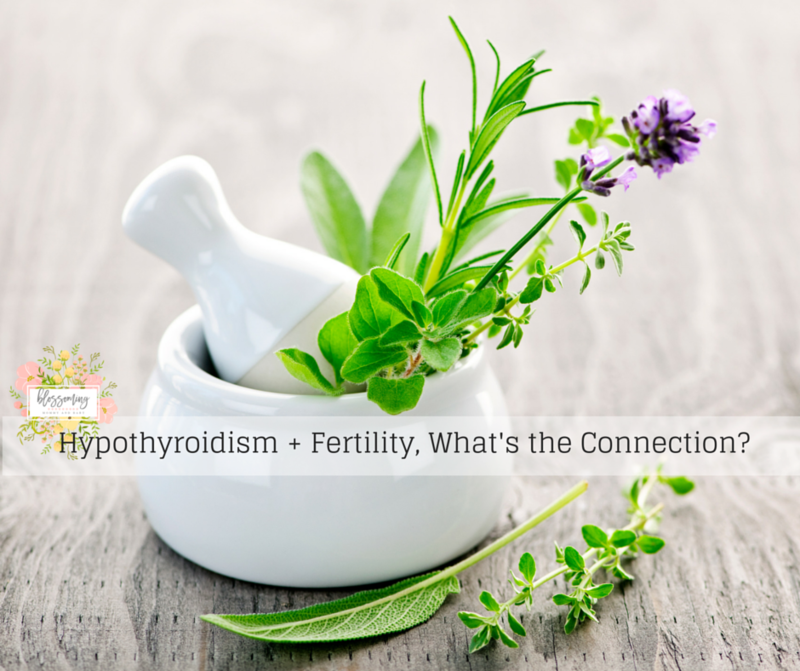 Finally, a few of my clients have been asking about the connection between hypothyroidism and fertility. It is shown that low deficiency of the thyroid hormone can interfere with a woman's ovulation and therefore impact her fertility. If you are trying to conceive and do have hypothyroidism, be sure to speak with your doctor about different ways to heal your body and prepare it for baby. Remember, there are many options for you. First, begin with your lifestyle factors (see the above two articles! ), and work hand in hand with your doctor.You can still get pregnant, even with hypothyroidism, you'll just need to work on tuning up your body and making it an optimal place for your baby to live. Want more holistic guidance on preparing your body for baby- before, during, and after pregnancy? Click herefor my maternal health digital program. We'll go over just that! Please share this article with a friend below who needs information on hypothyroidism!